One of the first signs of spring is the appearance of ramps. The slender wild onions with feathery green fronds taste similar to leeks, but with their alluring astringency ramped way up. This makes the foraged root vegetable ideal for flavoring. Here are 9 ramp dishes you don’t want to miss this spring season. When you’ve got fantastic ingredients, follow the K.I.S.S. rule. Keep it simple, silly. 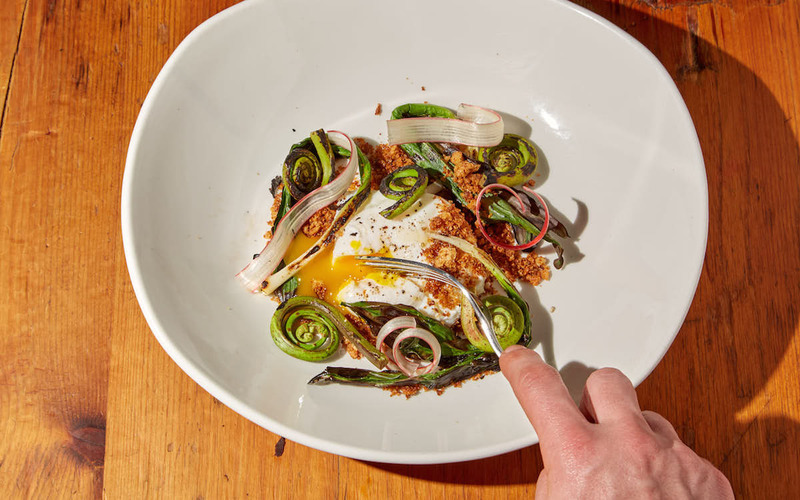 With that philosophy in mind a poached egg is adorned with nothing more than grilled ramps and fiddlehead ferns, and a scattering of breadcrumbs. Make a reservation at Il Buco Alimentari & Vineria. 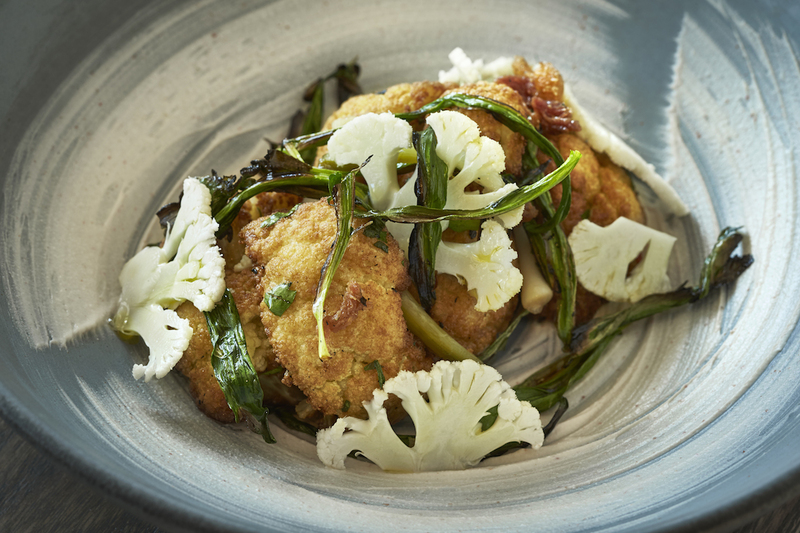 Grilled ramps adorn florets of fried cauliflower. The dish is finished out with crispy bits of pigtail and labne accented with Ethiopian mitmita spice, which hides the flavors of bird’s eye chili, cardamom, and clove. Absolutely nothing like the bland steamed cauliflower you were forced to eat as a child. Make a reservation at Arroz. It’s springtime, and the livin’ is easy. These knuckles of gnocchi are lavished with verdant ramp puree. 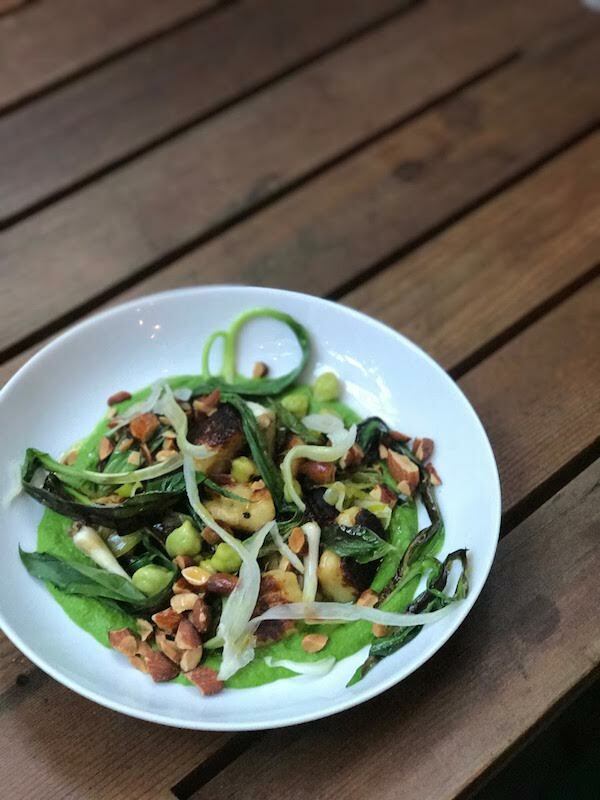 Toasted almonds are added for crunch, fresh mints give the dish a lift, and grilled ramps reinforce the central flavor. Make a reservation at The Smile. Executive chef Matteo Venini is a pasta pro. 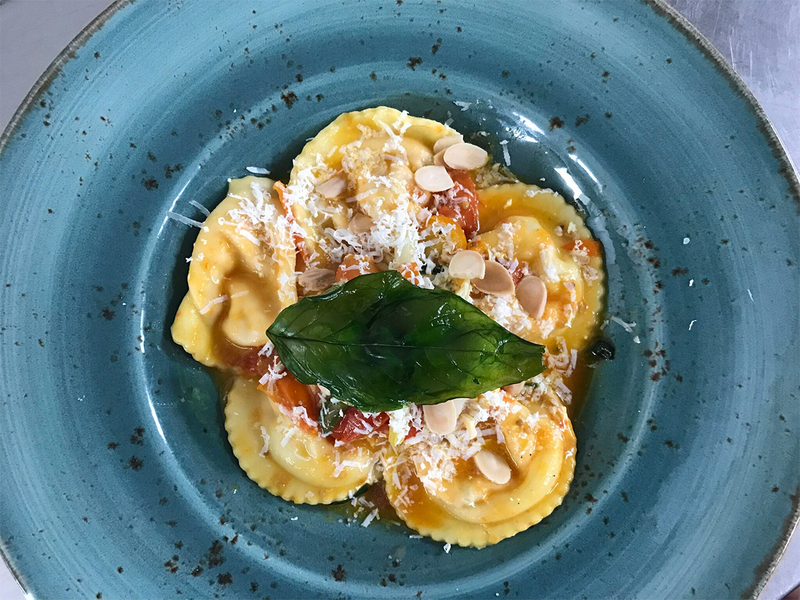 His springtime cappellacci are stuffed with buffalo mozzarella, candied tomato, and ricotta, which he blankets with tangy tomato-ramp sauce. He finishes the springtime special with toasted almonds and a flash-fried basil leaf. Make a reservation at Lupo Verde. Risotto gets ramped up with this springtime preparation. 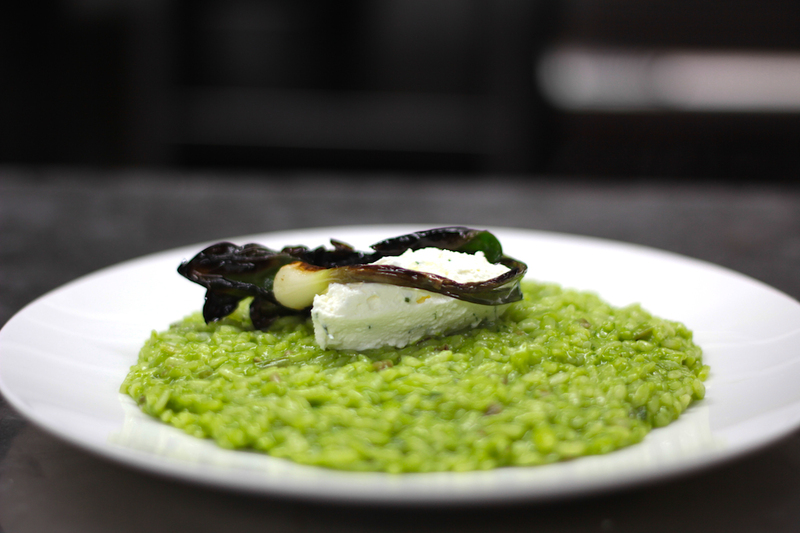 Ramp puree is mixed with carnaroli rice to impart its onion-y flavor and add a grassy hue. The emerald landscape is adorned with charred ramps wrapped around a hillock of buffalo ricotta. Make a reservation at Tarallucci e Vino-NoMad. Hank’s Oyster Bar–Dupont Circle, Washington, D.C. Though the mercury is spiking during the day, nightfall still brings a chill. That makes this potato leek soup a welcome addition to any meal. 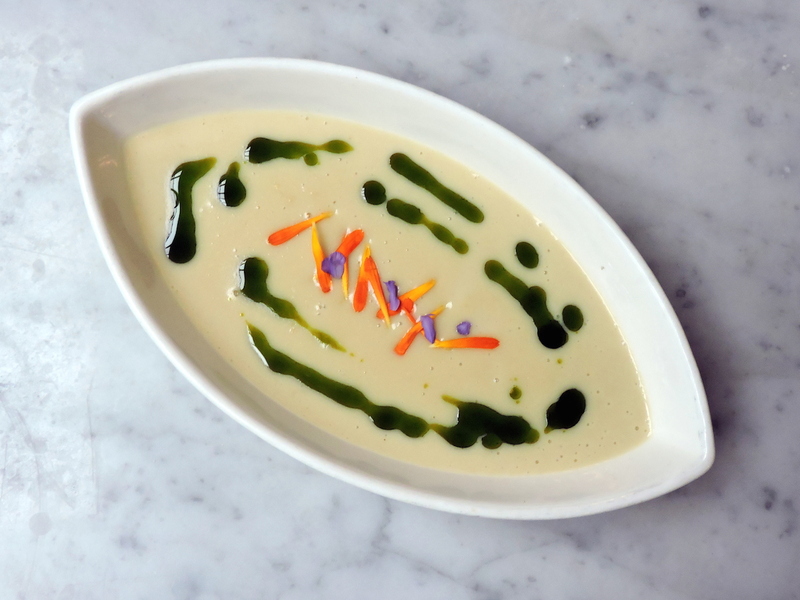 Its surface is sketched with green lines of ramp-infused oil and a sprinkling of spring flowers. Make a reservation at Hank’s Oyster Bar-Dupont Circle. This beautifully plated dish is a study in spring. 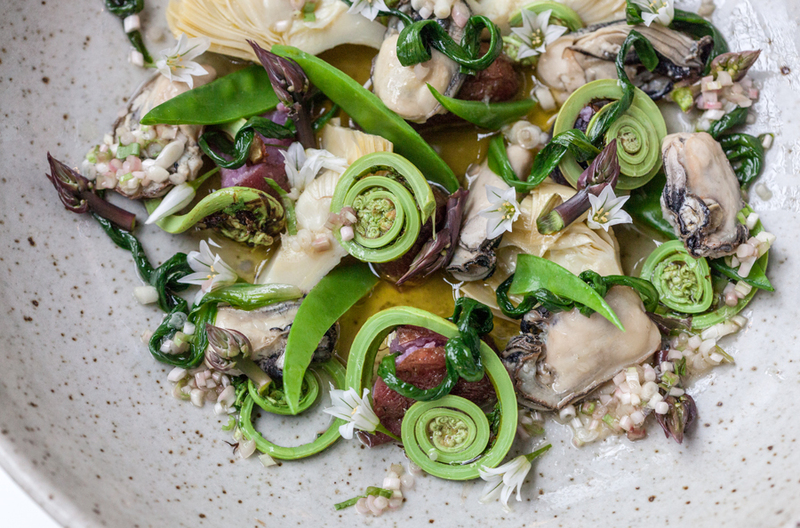 A lush array of fresh ramps, peas, fiddleheads, and artichokes add a taste of terroir to the oyster’s briny notes. Super simple, yet utterly delicious. Make a reservation at Healdsburg SHED. 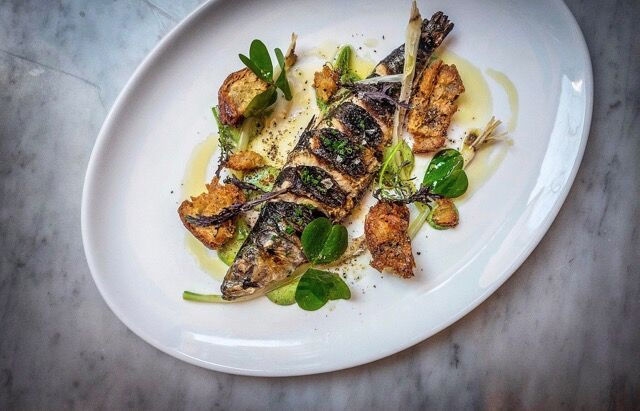 Sardines can be a tough sell for some diners, but chef Michael Scelfo aims to change their minds. He grills a single sardine until the skin is crackly and crispy, while the flesh stays tender and flakey. To help cut through the fish’s bold richness, he plates it with ramps and a wood sorrel mayo possessing a lemon zing. Make a reservation at Waypoint. Executive chef Justin Bittner’s uses his housemade fettuccine as a stage for the bounty of the season. 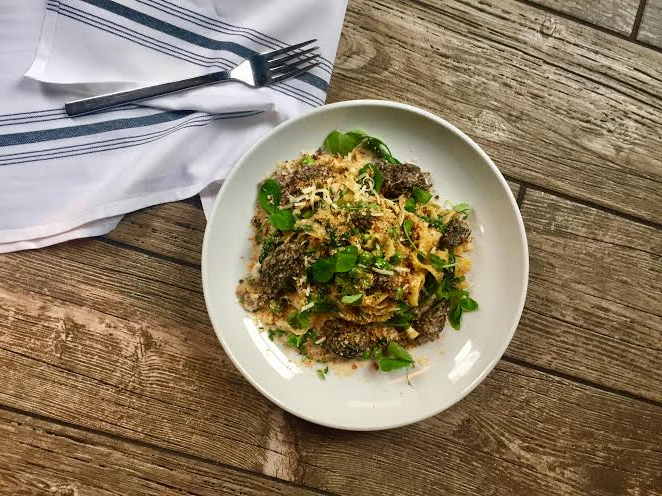 He gussies up the strands of pasta with ramps, morel mushrooms, and English peas. Every bite is a stirring reminder that spring is in full bloom. Make a reservation at District Distilling. Have you been enjoying ramp dishes yet this year? Let us know where in the comments or over on Facebook, G+, Instagram, Pinterest, or Twitter. And, remember to snap + share your #dishpics with us on Instagram for a chance to win in our weekly giveaway. These look like cousins to the New England fiddlehead. Very interesting, can’t wait to taste them. Had me some ramps in chicken soup, just wilting them, not cooking.